International Doodle Dog Day Day for the Doods is celebrated by thousands of poodle-mix breeds around the world in over 40 major cities! 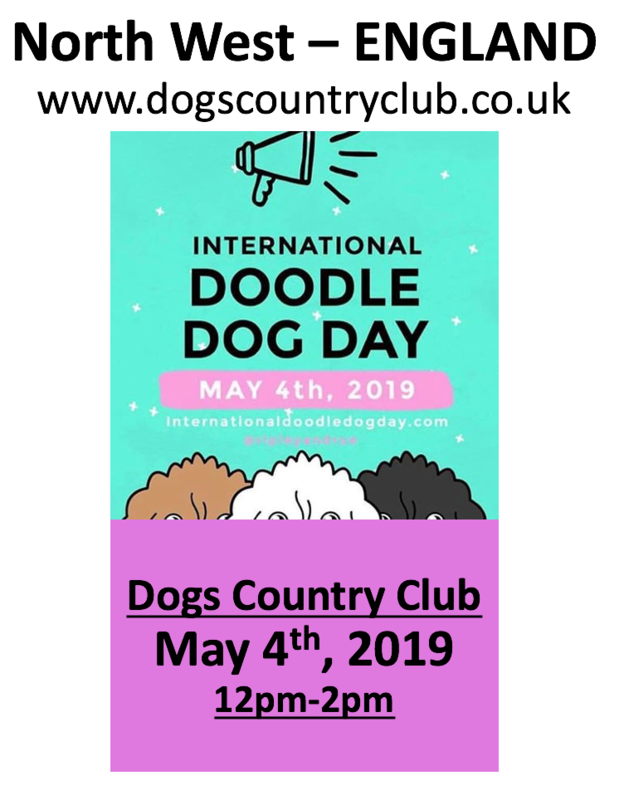 Doodle International Day - North West, England will be held at Dogs Country Club for OFF - LEAD SOCIALS in secure fields. Explore what Dogs Country Club has to offer. This meet up is for all doodles, part doodles, and any dog that lives with a doodle in the same house! Are you passionate about this breed and thinking or getting one soon? This is a perfect opportunity for you to learn all about it, meet lovely owners! Socialisation is so important for your dog's development. Dogs are social creatures and benefit from mixing in groups. Puppies and young dogs learn many social skills at these gatherings - watching, listening and copying others in the group. Older dogs can benefit from that extra bit of excitement and stimulation - helping them to stay young at heart and fitter for longer. Plus teaching those youngsters how to behave! Meeting up with the gang is exactly what many dogs enjoy doing. So, join in the fun and let your dog learn to be........a happy, sociable dog! Price:Per dog, per session, per one household: £5 first dog, £5 second dog, no cost for the third and the fourth dog. Warm water to wash your dog, before you put it back into the car.